is one of those movies that flew in and out of the cinemas before I caught it, and I’m glad to see that it’s soon to be available on DVD and Blu-ray. It’s a look at how the global financial crisis reaches in and changes not only the corporate existence of a group of men, but how it affects their families, and their reassessment of what really matters to them. 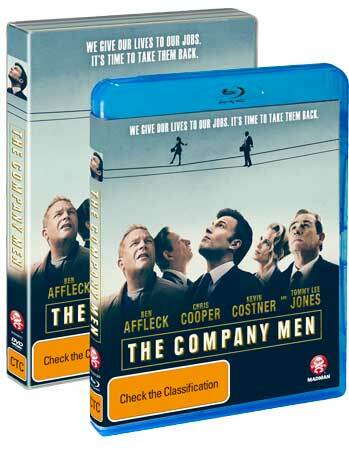 The Company Men will be available to buy on 13 July, 2011. The DVD version will have an RRP of $34.95, while on Blu-ray it will be $39.95 RRP. Here’s the listed extras for both formats… it doesn’t look extensive. Previous ArticlePickmaster Plectrum Punch – rock that plastic!